As I've already mentioned, Autumn to me is the season of soups, stews and casseroles. Slow cookers become invaluable at this time of year. There's nothing better than the comfort of knowing that your dinner is bubbling away all day, waiting for you to get home, dish it up and tuck in. 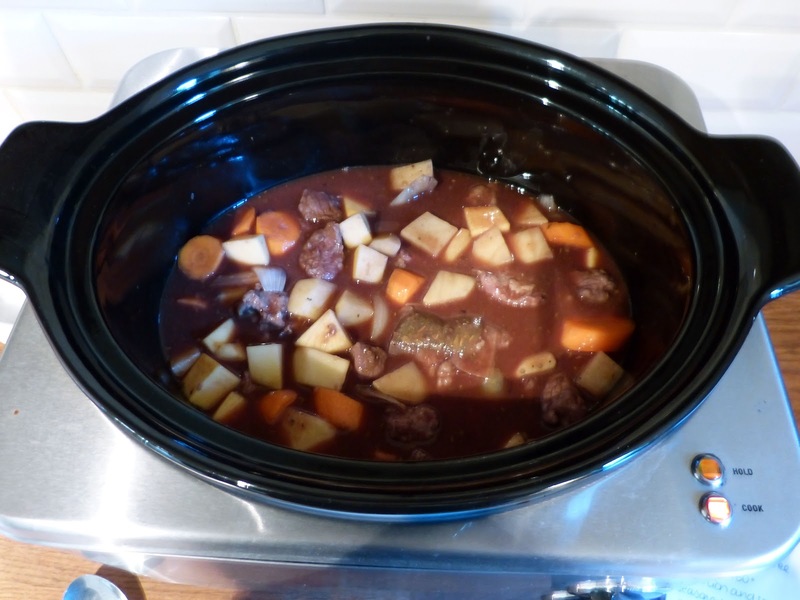 The beauty of slow cookers is that they are low energy, low effort and produce such flavoursome meals. Not only that but for some reason, anything slow cooked tastes even better the next day, eaten as leftovers! 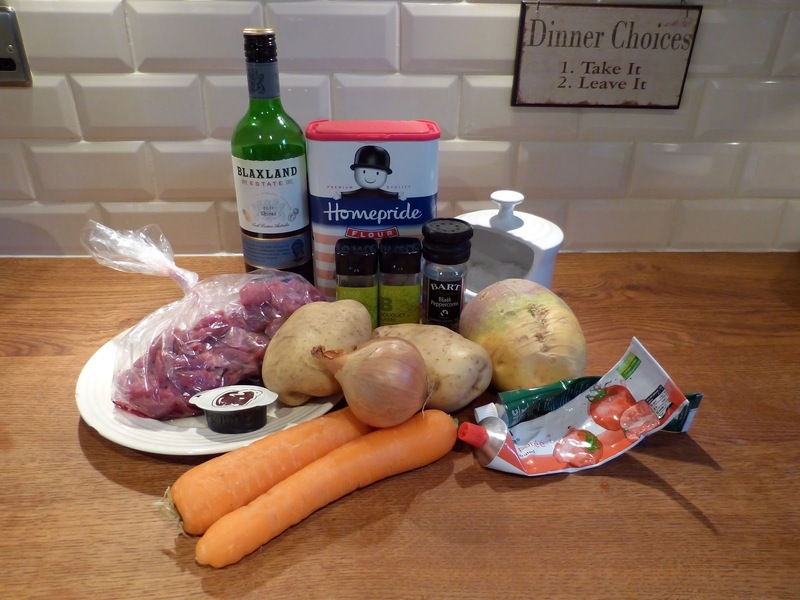 I have two go-to stews for cold days - one is a beef and ale stew (recipe to come) which I cook in my normal oven and serve with fat little dumplings and this one - the slow cooker variety, no dumplings but a hearty, herby mix of melting beef and chunky vegetables in a red wine flavoured gravy. Chop your onion in half, then into wedges, then separate the layers. Fry gently in a large pan, in a little oil with the sage. Put your flour into a large bowl and season with salt and pepper. 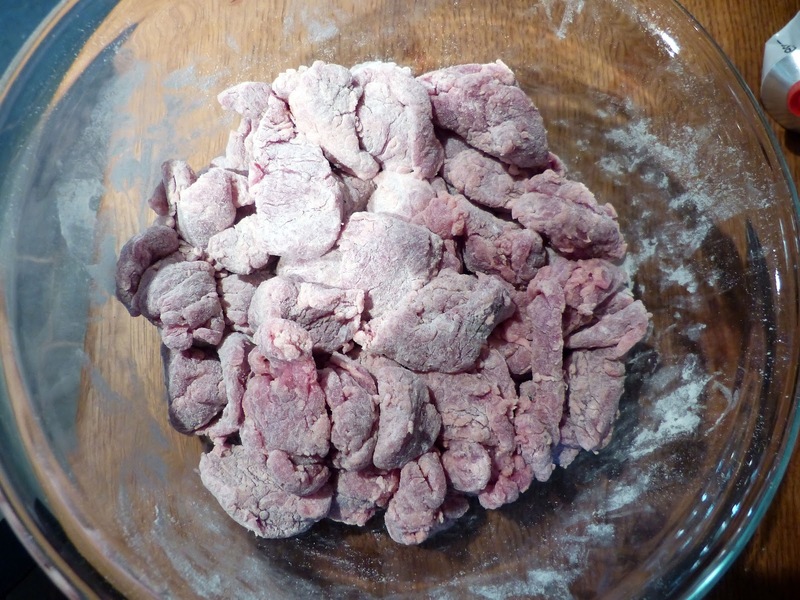 Drop in your pieces of stewing beef and coat with the seasoned flour. Get your hands in there, it's fun! Add the meat to the pan with all of the veg, tomato puree, wine and stock. Bring to the boil, then transfer to your slow cooker. Add the bouquet garni and cook for a minimum of three hours ... but basically as long as you like. 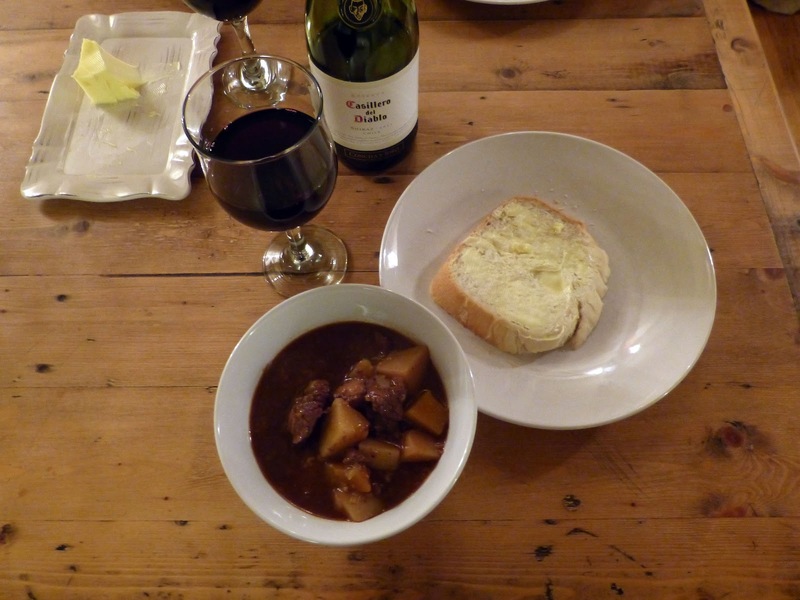 Eat from bowls with a warm crusty bread and a good red wine! We get five dinners out of this recipe (but we're a pretty greedy pair) and it's even better the next day! I made a casserole last night was literally the tastiest thing ever! I am gonna have to try this! I love my slow cooker and I am a casserole fiend. 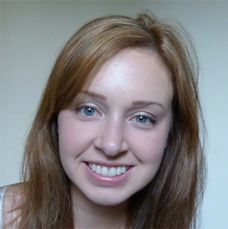 Thanks for this Rachael! The first thing I see when back from work, are these pic .....mommy am hungry!! 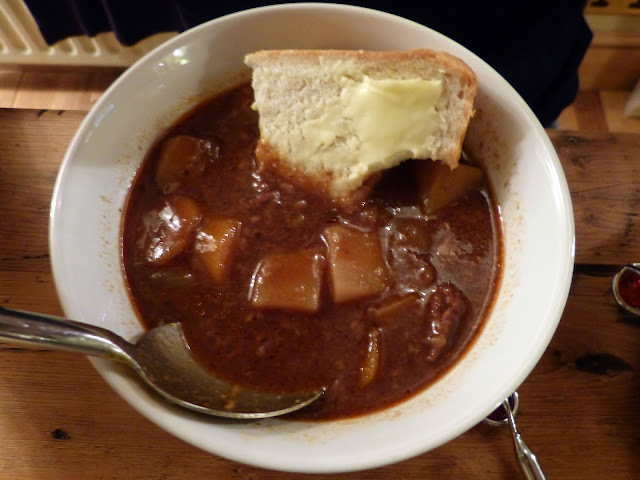 Yummy, I love nothing more than stew in the autumn, it is such a winter warming dinner. The crusty bread with it looks divine!